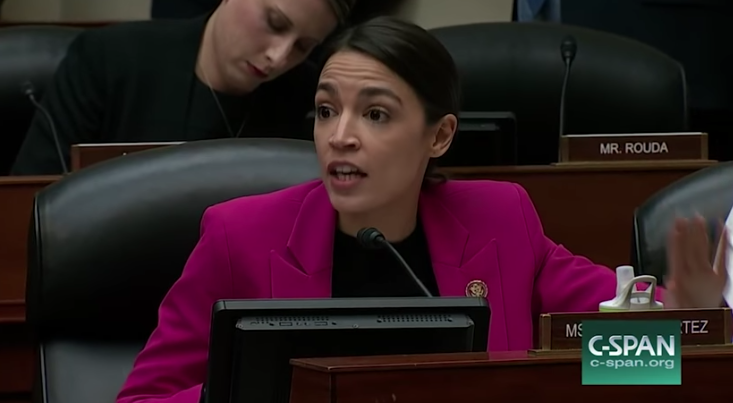 Challenging the committee’s witnesses to “play a game” with her, Rep. Alexandria Ocasio-Cortez (D-NY) lays out in stark terms the glaring weaknesses of our current campaign finance and ethics laws. In what has become the most viewed video on Twitter of any politician, she makes plain “a system that is fundamentally broken,” where no legal barriers prevent a candidate from funding a campaign with special interest money, regulating those same industries as a legislator, or personally profiting from financial stakes in those industries while still in office. House Oversight Committee, February 06, 2019.